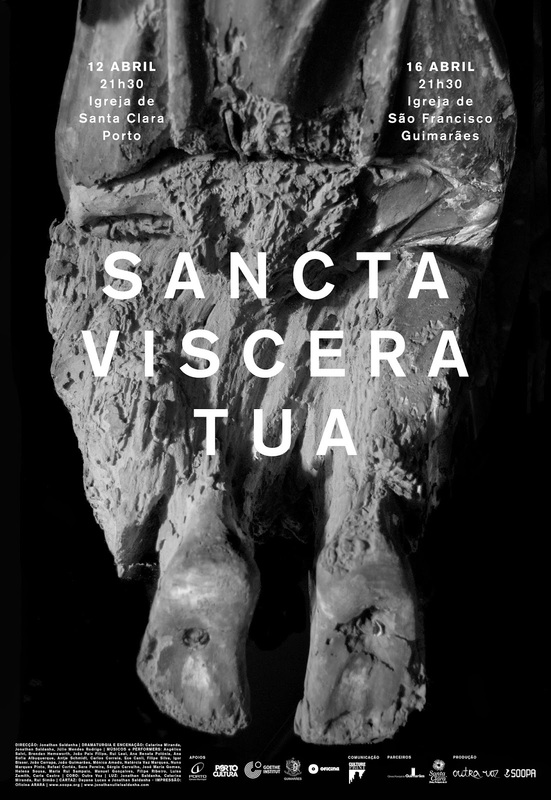 “Sancta Viscera Tua was a piece constructed with voice, gesture, sound and light, a convergence of people, architectures and impetus that together carried out a reenactment of the invisible. A libretto for sound and gesture, but without words, a vibrational construction through the archetypes present in mass human gathering, inhuman violence and the mediation between matter and anima present in the Via Sacra. Performers: Ana Renata Polónia, Ana Sofia Albuquerque, Antje Schmidt, Carlos Correia, Ece Canli, Filipe Silva, Igor Bisser, João Carrapa, João Guimarães, Mónica Amado, Natércia Vaz Marques, Nuno Marques Pinto, Rafael Cortês, Sara Pereira, Sérgio Carvalho.